The Bankruptcy Code provides for you to keep your home, cars, furniture, appliances, employer sponsored retirement and other essentials that you need to get your fresh start. Though it is true that there are limits to what you can keep when filing bankruptcy in Oregon and Washington, many people are not required to give up anything. In general, fears of losing property are overblown by the credit industry. You can be employed, have a bank account and own property up to certain limits as of the date your bankruptcy case is filed. Once your case is filed you can have anything you want and nobody – the court or your creditors – can touch it. In fact, a New York City man recently bought a winning lottery ticket after he filed his bankruptcy case and was able to keep all of his winnings. Chapter 7 bankruptcy is designed for people who are unable to repay their existing debts – it is not designed for people who owe certain amounts. 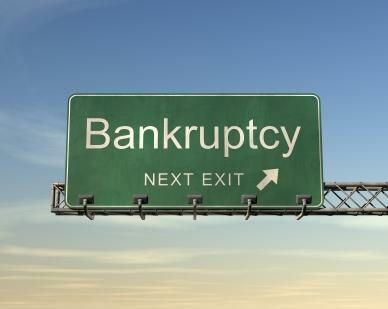 The ability to file for Chapter 7 bankruptcy is based upon your debt and income. There are many people who file for bankruptcy owing very little money, & others who do not need to file for bankruptcy in spite of the fact that they owe a large amount of money. We hope you will not go into bankruptcy with the intent of getting back into debt. The negative impact of bankruptcy on credit is extremely exaggerated. It won’t be long before you’re getting credit card offers again. You should, however, refuse all offers of credit cards until you’ve put together a realistic savings plan. Once you’ve put a savings plan into place and start to build up your “cash cushion” you will be able to start thinking about new credit. If you want to buy a home or car after bankruptcy you will probably be pleased. We have seen many bankruptcy clients go on to purchase a home within two years of filing an Oregon or Washington bankruptcy – but only if they’ve taken the steps necessary to establish their own financial stability. The Bankruptcy Court does not get in touch with your employer when your case is filed. Your payroll department may be contacted to stop a garnishee (income execution), but most times they are told to stop without a reason why. Though anyone can go to the courthouse and find out if you’ve filed for bankruptcy, this rarely happens. It’s not uncommon for one spouse to have a significant amount of debt in their name only. However, if spouses have debts they want to discharge that they’re both liable for, they should file together. Otherwise, the creditor will simply demand payment for the entire amount from the spouse who didn’t file. Many people worry that they will jeopardize their immigration status if they file for bankruptcy. This is incorrect. Your immigration status is not affected in any way by filing for bankruptcy. There is absolutely no reason to feel guilty about filing bankruptcy in Oregon and Washington, especially if you use it as an opportunity to provide future financial happiness and security for your family. All of these people went bankrupt, yet all of them went on to achieve success in their fields. So remember that while your financial problems are serious, they aren’t the end of the world. Declaring bankruptcy is often the beginning of your new world in financial freedom.